Description: Sized 36" x 25". 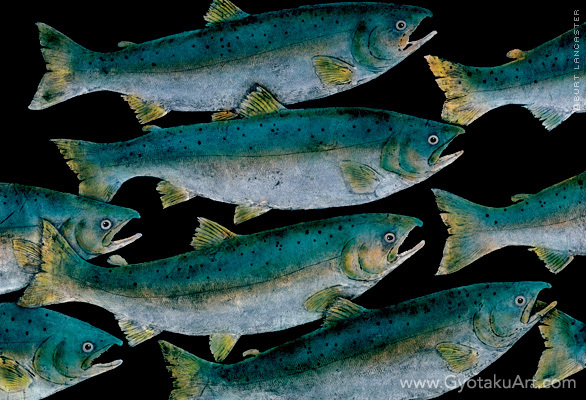 Multiple salmon are on a black background. Giclee is available. Species: Coho Salmon, a popular gamefish, are also known as Silver Salmon. Adults live and mature in salt water until 2-4 yrs. After long migrations, they return to their parent stream of fresh water to spawn and die. Coho Salmon are found in Alaska and Northwest North America.